brochure of Dash who is India’s official candidate for the election. Set up in 1952, World Customs Organization (WCO) is an independent intergovernmental body mainly to enhance the effectiveness and efficiency of customs administrations. Currently, the WCO represents 182 customs administrations across the globe that collectively process 98% of the world trade. Dash who had earlier worked in UN Security Council, Commonwealth Secretariat and the CBI, took over as the DRI chief only in July this year. Earlier, he was serving as the acting chief of the DRI. According to reports, Dash is also a recipient of the President’s award and also merit award from the World Customs Organisation (WCO). 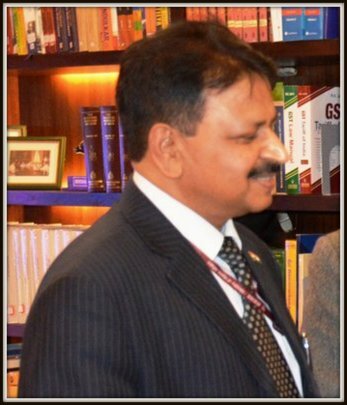 Meanwhile, Kolkata-based IRS (Customs and Central Excise) officer of 1991 batch — RK Mishra died due to a massive heart attack. “With profound grief it is intimated that Sh R K Mishra (1991 DR) posted at Kolkatta left for heavenly abode today in the noon. He suffered a massive cardiac arrest. May Almighty give him place in heaven and give strength to the family to bear the loss. RIP”, IRS (C and CE) Association posted in a Tweet on Thursday. This is the second death of a senior customs officer this month. On November 7, the association announced: “With deep sorrow, we convey the demise of our colleague Sh. B S Nunwal, Commissioner posted in Mumbai today. May his soul Rest in peace”.